If you are all for green energy and doing your bit to save the planet, solar panels are probably something you’ve thought about. Could taking your garden shed off the grid be a money saver? Or is it more hassle than it’s worth? 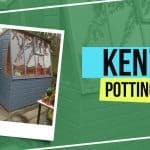 Here we’ve gathered a number of pro’s and con’s to help you make a more informed choice when deciding if solar panels are right for your garden shed. How much power are you using? You may only be considering solar panels for occasional use, or you could be planning on running broadband, a computer or a host of power tools from them. A 5W mobile phone charger will require an inverter with a continuous power rating of at least 150W. A 400W desktop computer would require at least 600W. To work out the power rating of your inverter, add up the required wattage of all the equipment you’ll be using. The amount of power you expect to use will dictate the type of system you install. Therefore, calculating your requirements is key to setting up a system that works for you. How much power you get from the solar panels, depends solely on the amount of light that reaches them. In winter months, the UK suffers from a lack of sunshine limiting the amount of power you can expect to receive. To help get the maximum amount of light you need, position your garden shed in a sunspot. 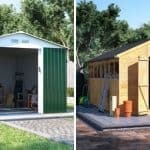 If your shed is located in a very shady position, then the lack of sunshine even on the brightest days of summer will limit the amount of electricity generated. 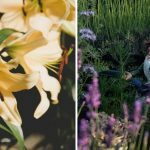 It depends on the garden, so consider this when making your choice. It also reflects whether the investment will save you money or end up costing more. Solar panels fitted to a roof can be neat and unobtrusive, unlike more obvious forms of green energy such as wind turbines. However panels are usually on a sloping roof so that they make the best use of sun rays, but these can be quite obvious when reflecting light. You may want to consider the design of the solar panels in relation to your existing garden. The modern panels could be a feature of your garden shed, but they may also stand out against a traditional setting. Solar panels for garden sheds are generally low maintenance as they don’t involve any moving parts. They usually last for around 20-25 years and only require cleaning a few times a year. However, another point to way up before investing in solar panels for your garden shed, is security. With such an expensive investment, making sure your garden is secure is essential, you don’t want to run the risk of them being pinched. The overall benefits of using solar panels for your garden shed are that they are an eco-friendly and renewable energy source. They can reduce your costs, however, this depends on the amount of power generated against the costs of the installation. They can be a fantastic investment for your garden, but with their downfalls, so way up the pro’s and con’s before you choose to commit! 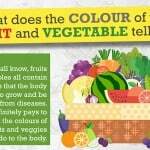 [INFOGRAPHIC] What Does The Colour of Your Fruits and Vegetables Tell You?